Yes, February is known for Valentine’s Day, but did you know it’s also National Chocolate Month? If there was ever a reason to enjoy our favorite pairing of chocolate and hazelnut, now is the perfect time. From toffee to ice cream to paleo options, we have rounded up a few of our favorite products below to inspire all your chocolate hazelnut endeavors in February and beyond. 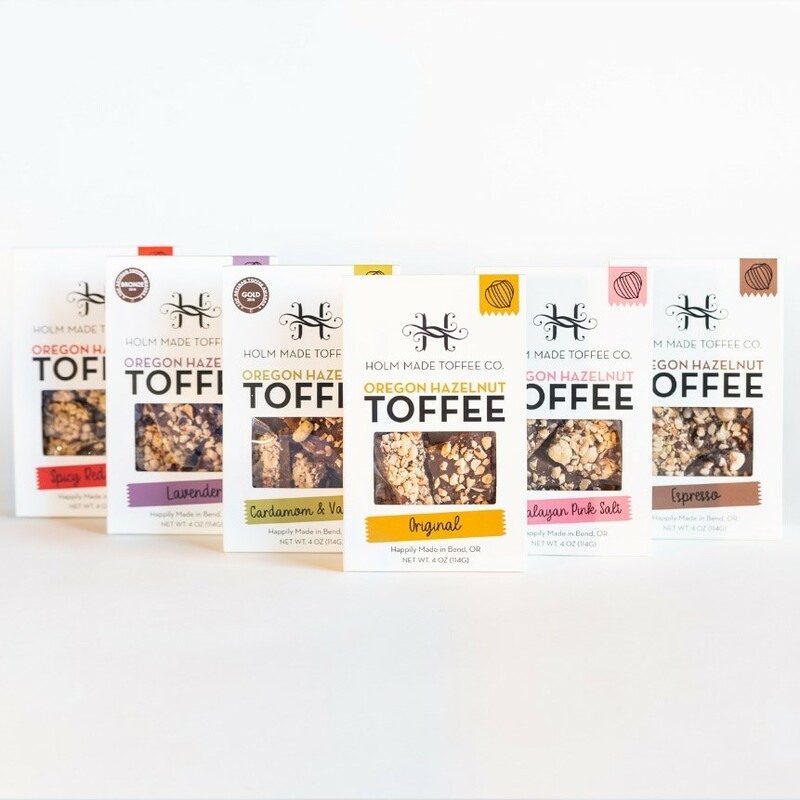 The Holm Family has been crafting Oregon Hazelnut Toffee for more than 30 years, and their love and experience for candy making shines through the delicious confections and fun packaging. With flavors like Himalayan Pink Salt, Espresso, and Cardamom & Vanilla, Holm Made Toffee makes an excellent gift for loved ones. 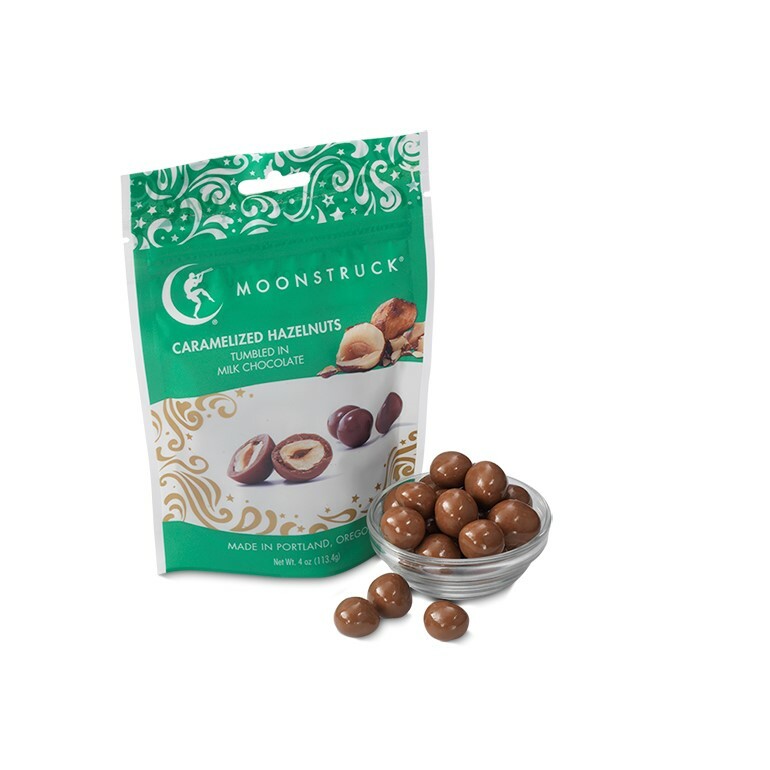 Whole hazelnuts are caramelized in open copper kettles, then hand-tumbled in layers of Moonstruck’s signature milk chocolate. These are seriously addicting, so share wisely! There are so many reasons to love this gelato. First, it’s made with buttermilk, resulting in an exceptionally rich and creamy base. Then, sweet hazelnuts and thick chocolate fudge combine for a classic Italian flavor. Grab your girlfriends, a movie and a few pints for a Galentine’s Day celebration. 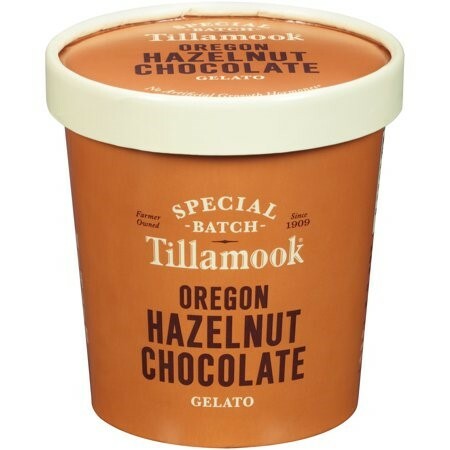 Yes, there is even a chocolate hazelnut option for all you vegan and paleo folks! 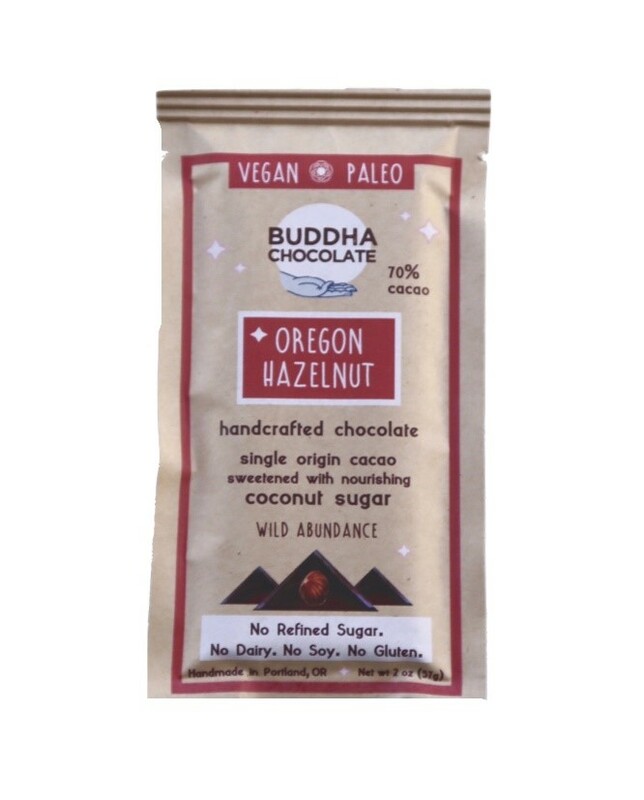 Handcrafted in Portland, Oregon, Buddha Chocolate’s Oregon Hazelnut bar is 70 percent cocoa and sweetened with organic coconut sugar. That’s nuts!